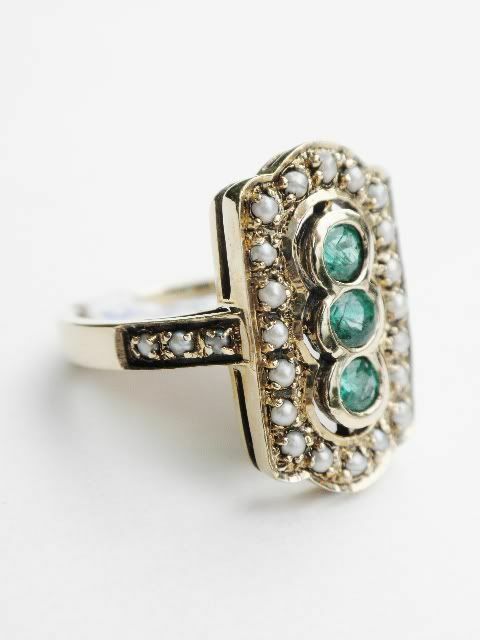 English 10k yellow gold emerald ring. 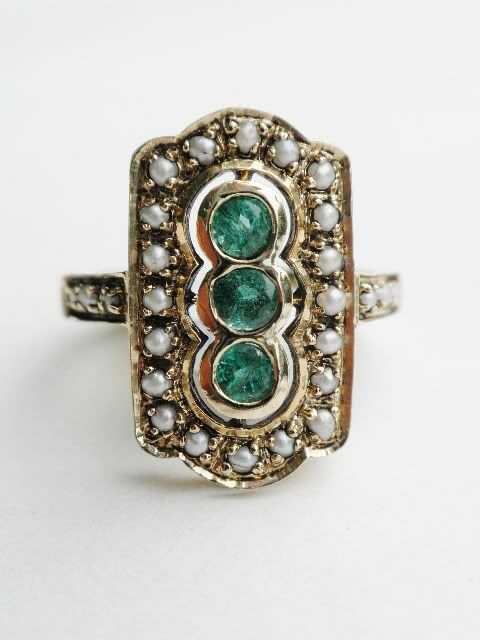 The ring is set with three genuine emeeralds framed by half pearls. 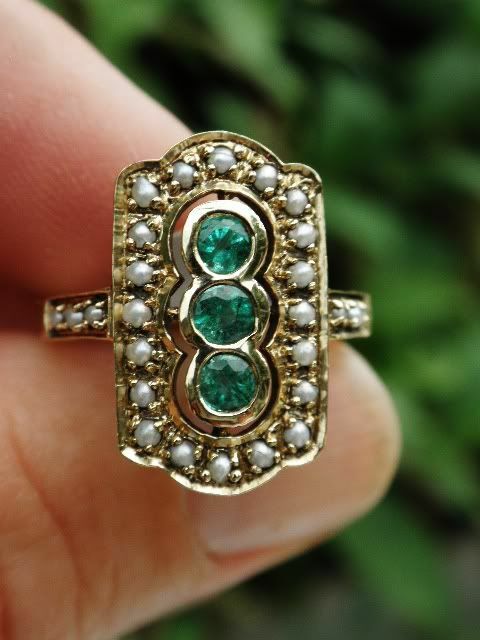 The emeralds are of good color and securely bezel set. The half pearls are bead set. The ring measures 18mm long by 11mm wide hand has a projection of 5mm. 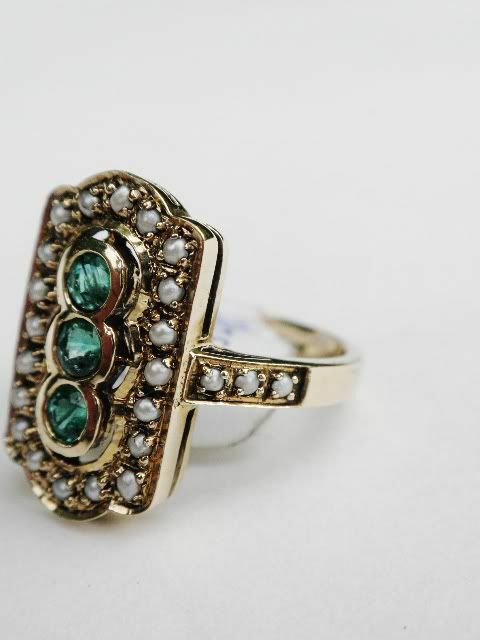 The ring weighs 3.4grams gold and is a finger size of 6 1/2. 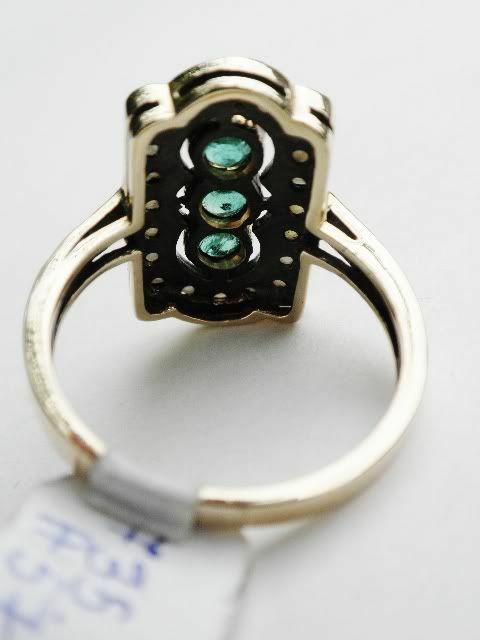 The ring is English hallmarked 375.